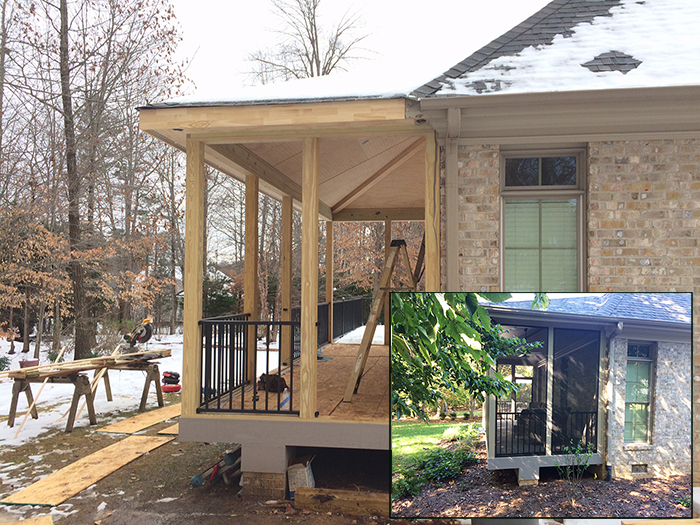 Whether you’re adding a deck, screened porch, or other outdoor addition, it takes time to work through the design and construction phase of your project. You’ll also find that reputable builders have a waiting list to begin projects which will be longer in the spring. When the weather starts warming back up in the spring, you won’t want to wait a day to get back outside and start enjoying your yard. Watch your garden begin to bloom or watch the trees green up when your project is done in time to enjoy in the early spring. Prices on many supplies inevitably go up around the beginning of a new year. If there are price increases on primary components of your project such as framing lumber or composite decking, the price of your project will increase. Beginning your project at the end of the year locks in that year’s materials pricing. Adding a new outdoor living space will disrupt your yard. There will be heavy foot traffic. Some construction equipment might be required and materials will be in your backyard while your project is being built. The best time to disrupt your lawn and landscaping is the off-season time of year. Give us a call at (336) 664-1332 or drop us an email to discuss adding a new outdoor living space to your home.